Get a working holiday visa for New Zealand! This is a guide to get this famous working holiday visa for New Zealand. 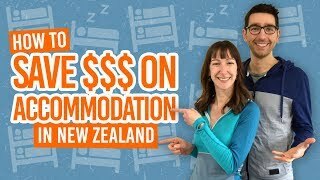 The working holiday visa is the best option for backpackers who need a little extra cash to enjoy New Zealand for longer. It will allow you to work in New Zealand for up to 12 months during your trip. The conditions of the working holiday visa vary from country to country as well as the application process. You can check whether you are eligible for a working holiday visa with WorkingHolidayNewZealand.com‘s free eligibility test. Simple, easy and useful, the working holiday visa is your best choice when visiting New Zealand on a budget! If you are looking for a step by step guide, head to our three-part Working Holiday Visa Online Application Guide. 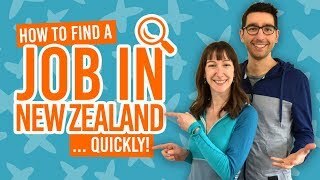 Applying for a working holiday visa in New Zealand only takes 45 minutes! Do you qualify for a working holiday visa in New Zealand? First things first, you will need to check if you are eligible for the Working Holiday Visa scheme in New Zealand, with WorkingHolidayNewZealand.com. Are from one of the eligible countries. List here. Are able to show you have sufficient funds to support yourself (approx NZ$4200 available). Have a return ticket or sufficient funds to purchase one (approx NZ$1000 extra available). Have no dependent children with you. Never been on a Working Holiday to New Zealand before. Main reason you’re coming to NZ is for a holiday with work being your secondary intention. Evidence you hold adequate medical insurance for your time in NZ (check our insurance page for plenty of info on this topic). Be sure to check your country’s specific requirements by selecting your country on the Immigration NZ website. This is an easy one! Despite all the requirements above, in order for you to apply for the working holiday visa itself, you only need to grab your passport and another form of ID (driver license or birth certificate). All other evidence to prove you meet the requirements will be asked at the immigration desk when entering New Zealand, not before. More information about entering New Zealand can be found at Arrival Advice: Passport Control and Immigration. In some cases you may have to send a medical certificate or x-ray but those will be requested after your application by email from an immigration officer. Lastly, you will need a Visa or Mastercard to pay for your application fee. In short: Grab your passport, another ID and credit card and clear 45 minutes of your time. The first step of the application process is to register on the Immigration NZ website. To do so, just head to this page and select “working holiday schemes”. Then in the box “New users” select “Create an account”. The next page should open where you need to fill out information like your name (as shown on your passport), your email address, chosen user name and password. Note about your password: make sure to follow the instructions given to choose your password, it must include at least three different characters! If the page does not open, or if anything goes wrong during the process, switch browser to Firefox. We find that this is the browser that presents the fewer amounts of bugs and glitches with the whole application process. Once you are done, hit “register”, you should receive an email from Immigration NZ confirming your registration. In the event that you do not see their email, check your junk box. And just like that, you are done with this step! For a screenshot guide to this stage, check out Working Holiday Visa Online Application Guide – Part 1. It is now time to apply for your visa. Make sure that you can apply for your visa, if your quota is full, your application will not go through. Find out more about updated quotas on WorkingHolidayNewZealand.com. Head back to this page and select “Working Holiday Scheme” one more time. You can now log in with your username and password chosen in the previous step. If this is your first time logging into Online Services then a page titled: “Apply Online” should open. Under the subtitle: “Working Holiday Schemes” click on “Click here to apply”. On the next page, read the requirements, terms and conditions, and other information, then select your country of origin. The next page should tell you straight away if there are spots available for your country’s scheme, if there are spots available click on “apply now”. This is you actual application. Complete all four tabs. Personal: make sure to complete “Personal Details” and “Identification” the third one “Occupation Details” is optional. Health: this will determine if you will need to provide further documents regarding your health. Working Holiday Specific: your “indented travel date” is for survey purposes only, no need to have it 100% right. When all tabs show a tick, you are good to go. Hit “submit”. If you get confused, we also have this part of the application process as a screenshot guide at Working Holiday Visa Online Application Guide – Part 2. You are now on the last leg of the process. Review all the legal statements and tick the boxes before hitting “submit” one more time to be taken to the confirmation page. On your confirmation page, you will be invited to pay for your application. Note that some countries like USA do not have a visa fee at all. Your application will not be processed until your payment is cleared, so grab your Visa or Mastercard and pay for the application, so it is processed faster. The next page will display your fee (usually NZ$208), click on “secure payment site” in the text. The payer name asked on the next page is the name showing on the credit card that you will be using, if you are using your parent’s credit card, ask them first, write their name down, and hit “OK”. You are now on a normal credit card payment page, select your type of card and enter your payment information. Check out the Working Holiday Visa Online Application Guide – Part 3 for a screenshot guide of this stage. Once you have paid, you are done with the process! You will receive your visa (if your application has been accepted) within 14 days, usually much less. It will be available in your Immigration NZ log for you to print out! Read What does a working holiday visa look like? if you are unsure. Enjoy your time in New Zealand!! !